I had always been jealous of people who had ‘faith’, whose belief in a spiritual being or concept is more than just an occasional attendance at church. Apart from being married in church (which was more through tradition than faith) I would say I am not religious. I don’t believe in a supreme being or a religion as such but, I still wanted to have a sense of spirituality, a feeling that I belonged to something bigger which wasn’t material or physical. When I was 17 I was lucky enough to receive an award that led to me gaining a place on the Outward Bound Trust classic diploma. 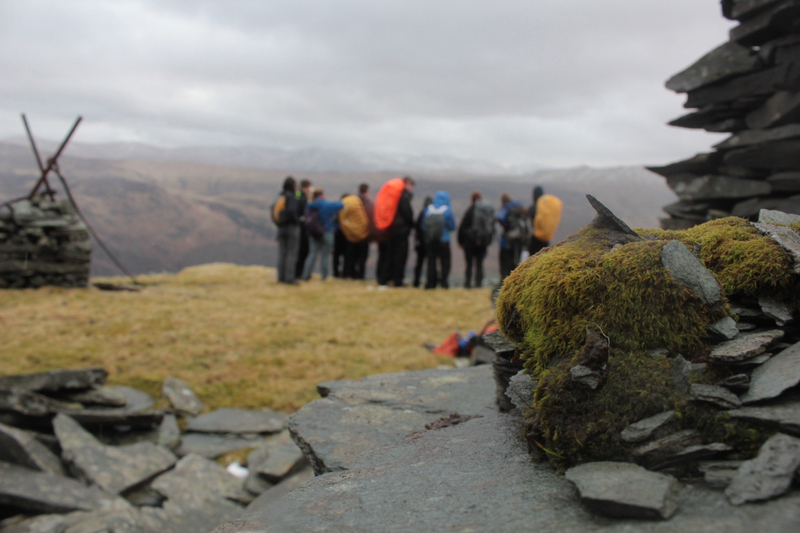 The diploma was a three-week course in the Lakes that was based in at Ullswater. I’d visited the lakes previously but never really given any attention to how spectacular my surroundings were but on a clear dark night there on Ullswater, as I watched the moon rise over Hallin Fell, I began to feel a sense of belonging. As a teacher and generally nice human being I am very respectful of religion. I don’t take opportunities to criticise it when it comes along on Facebook, I don’t blame war on religion, I don’t fear an eternity in the company of Beelzebub for declaring I don’t believe in ‘God’. I have had plenty of times when people have tried to convince me of the existence of the almighty but nothing that has convinced me of his or her existence. Indeed my beliefs can be summed up by a superb line from ‘The Usual Suspects’ when Verbal says “I don’t believe in God, but I’m afraid of him.” Despite not believing I always had this nagging doubt that I could have been wrong because I didn’t ever get this sense of spirituality that friends who had found religion seemed to hold. So in a quest to find this I thought back to try and remember times where I felt I’d got close to that feeling of belonging and spirituality and it brought me back to the great outdoors. I started running on roads, I got fitter but I hated the running through towns and cities, so I took up fell and trail running. Running in the countryside or the Moors, Dales and Lakes made me feel completely exhilarated. So good I wanted to share it and got others to join in. I decided I wanted to do more. In 2010 I walked the Hadrian’s Wall Walk in three and half days with a good friend, in 2011 we walked the Coast to Coast in 6 1/2 days. Whilst these were extremely tough challenges I felt completely alive and each time I stepped back out into the outdoors I felt as if that was where I was at peace. It became clear to me that I found my spirituality in the outdoors. I worshipped nature and was in awe of how it transformed the environment around me to create such spectacular scenes as a sunrise over the Langdales or a moonrise reflected in Scales Tarn. It’s given me serenity and focus when climbing at Brimham Rocks or Kayaking down the Ardeche Gorge. It’s helped me find a purpose in raising money whilst taking on sponsored challenges or sharing my passion for the outdoors with a younger generation through D of E and it’s helped to me to better understand myself by testing my resilience, sanity and strength in various ways. The CrosstheUK team putting their map skills to test as they go off the trail and make their own way up Blencathra. Knowing that many of the students we’ve worked with have developed a passion for the outdoors that wouldn’t have been there without our intervention is very rewarding, like the vicar in church you feel you’ve guided your flock well. Knowing that my family and friends have shared some of our most seminal moments in the outdoors is too extremely powerful. So if you’re struggling to find that sense of spirituality (whether you have religious faith or not) then you might just find a route to that perfect moment when everything falls into place in the great outdoors.